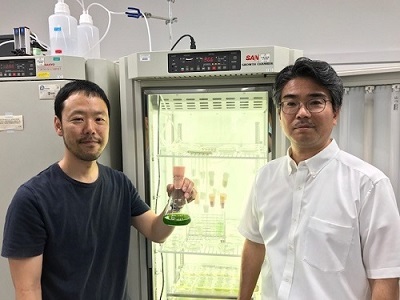 Ryuichi Hirota and Akio Kuroda developed the extra safe biocontainment strategy. 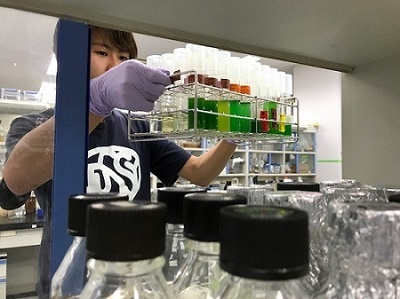 Currently, the HU researchers are working on applying this biocontainment strategy to microalgae; a promising alternative to carbon-dioxide mitigation, as part of the Advanced Low Carbon Technology Research and Development Program supported by the Japan Science and Technology Agency (JST-ALCA). 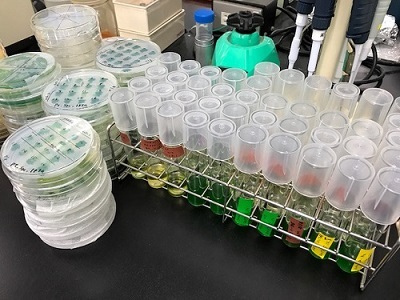 Phosphite-digesting enzyme was introduced and phosphite specific "transporter" was created. The seven innate phosphate transporters were then shut down using genetic editing.